Beautiful property by the Sea ! My wife and three children had a most comfortable stay at Marisa Sesta's beautiful house by the Sea. We could not have dreamed of a more perfect location. We enjoyed the beautiful property, Insulida Bay and the rock climbing all in walking distance from the hammocks of the property. The beautiful architecture of the house and veranda have a great flow in it's floor plan and is very clean and well maintained. The kitchen was well outfitted, we particularly enjoyed the outside grill and table space. We were able to enjoy places such as: the Natural Preserves, Erice, Castel del Golfo and the Egadi Islands as day trips and make it back for some of the best sunsets we have ever seen. We also did an overnight down to Selinunte and Agrigento to experience the amazing ruins. Marisa is a very kind and gracious host who was very responsive and helpful to facilitate this experience for us. I would highly recommend this property to my family and friends. We will return to this property in hopes of finding our own retirement house in this idyllic land of San Vito lo Capo. Thanks Marisa! We spend ten days mainly in september 2015 with our two year old daughter in marisa's sweet villa. The place is blessed with a wonderful sight to the sea that we enjoyed every day of our trip, especially in the dusk. The villa itself is clean and well and down to earth equipped. The large living room is nicely furnished with a dining table and a sideboard from dark wood and a seating area with a small tv and two chairs. The bathroom has everything you need for everyday purposes, but not that big. We always used the second shower outside of the house - for us this was perfect. At lunchtime at rising heat we fled to the roofed terrace with its stone table. There is almost always a little breeze for cooling. Your daughter played most of the time in the garden. There is a swing, some toys, hammocks and lot of room to explore the strange plants, cactuses, trees and animals. Nothing dangerous, but every evening there took place a little spectacle for our daughter. The light of the terrace lure some insects that were hunted and eaten by five little lizards climbing on the wall. To get to the beach of san vito lo capo you will need a car. It's not that far away (about 10 till 15 minutes to the center dependent from the parking place you choose) but there is much traffic on the road until the late evening hours and no pavement. The next restaurants and shops are even in san vito lo capo or castelluzo reachable in only a few minutes. We visited the zigaro nature reserve (only a short trip to the wonderful beach - with small children and babies it can be difficult, because it is not passable with prams), erice (very recommended with a great sight), trapani, and segeste - in each case reachable in about an hour. Marisa was very kindly and helped us with words and deeds at any time and provided great advice about the nearby area and the indigenous bays without the tourism. Thanks for all. We had a really great holiday and we would love to come back again. "A great home. Very clean with everything you need for your stay. The owner is lovely and extremely accomodating. A bit closer to the road than we had anticipated, but it wasn''t disruptive. Also the path to the sea is a bit rough in parts, not a big deal if you''re adults, but not great for children. A great place." "I would highly recommend this Villa for a family holiday. It is very well laid out and is spacious and airy. The dining al fresco area is perfect. 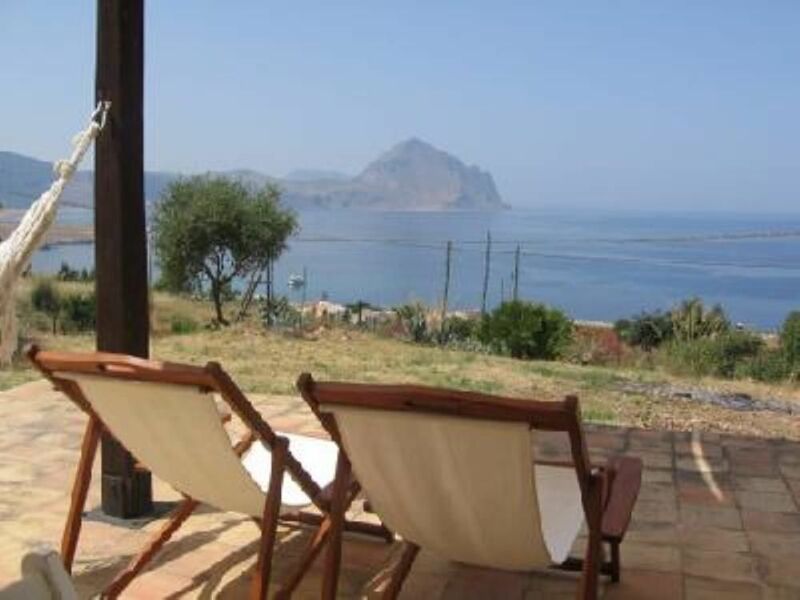 The villa is within a 5 minute drive of San Vito lo Capo for beautiful sandy beach, restaurants and even closer to a stoney beach for great snorkelling. The owners gave us a warm welcome and certainly maintain their property to a high standard. We'll be back!" "A wonderful holiday in an absolutely stunning location - close enough to the town to make use of the facilities but far enough away to have our own bit of paradise. Also lots of space for our young children to run around." "Highly Recommended!! The house is beautiful and the view is stunning. San Vito is a great place for anyone to vacation."